When you watch a YouTube video until the end, YouTube thinks you might want to share it with other people and switches to the "share" tab automatically. The "share" tab has been recently redesigned and now shows more social services at a glance. You can also click "embed" and copy the embedding code. 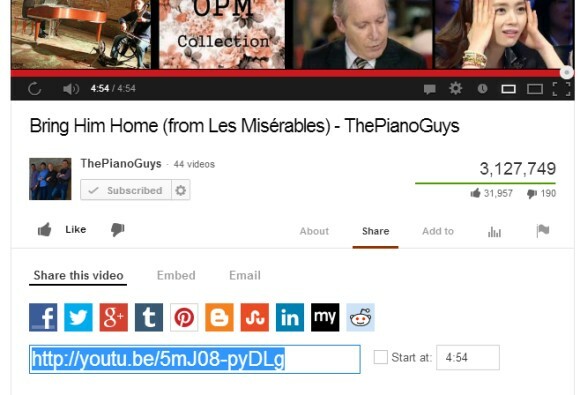 If you'd like to link to a YouTube video and open the "share" tab by default, just add #action=share at the end of the URL. Here's an example: http://www.youtube.com/watch?v=Ep3iIDDDlaM#action=share. The embedded YouTube player already includes a lot of features: from the like/unlike buttons, to the share button and the information button that shows the video's description, the number of views and lets you subscribe to the associated channel.